The building accomodates the administrative service requirements of the hospital with three levels of open plan office space and meeting room facilities. Situated toward the northern end of the hospital site and fronting Barry Marshall Drive, the building’s curvilinear form responds to both the curved street address and the interface with the hospital’s central landscaped courtyard and adjacent curved façades. Comprising three levels of open plan office space and meeting room facilities, the building accommodates the administrative service requirements of the hospital. 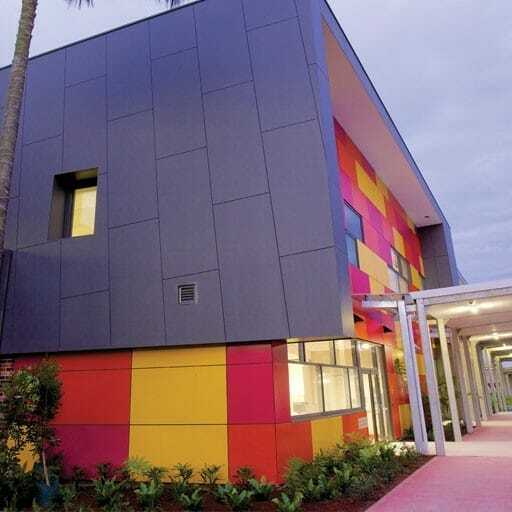 The challenge of East-West main façade orientation and stringent design brief were addressed through creative façade design and office-space planning. 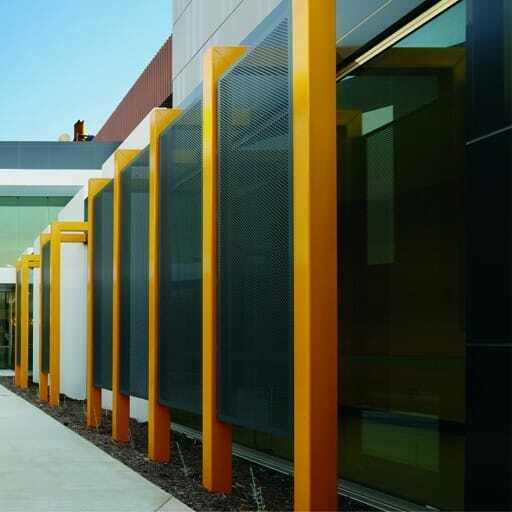 High-performance double glazing with frit patterning, external vertical sun shading fins and opaque glazing were researched and developed to provide optimal work zones with reduced glare and overall thermal performance. 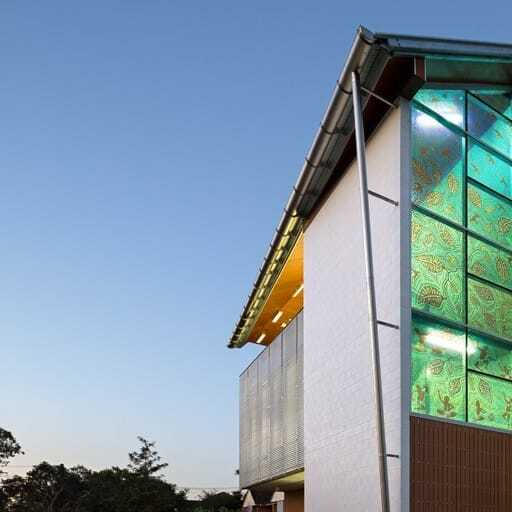 This creates a distinctively patterned façade experienced from both outside and in. Internal office planning situates the primary circulation corridors against the eastern façade at each level, achieving separation of work zones from façade heat load and allows occupants to visually interact with the hospital’s landscaped courtyards as they move through the building. Office floor plate design allows natural day light penetration to approximately 85% of the floor area to further enhance the occupant experience. 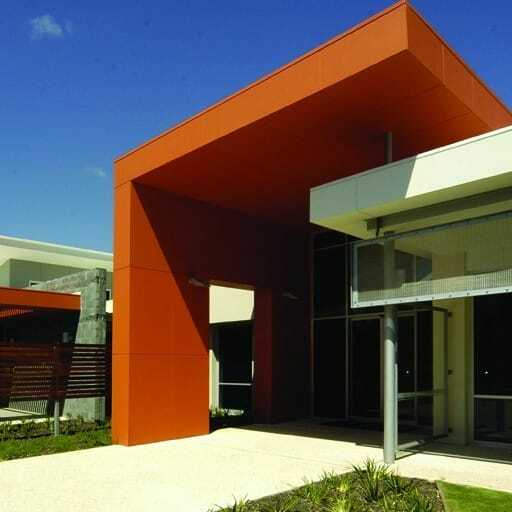 The Fiona Stanley Hospital Design Collaboration (comprising design firms Hames Sharley, Hassell and Silver Thomas Hanley) is responsible for delivering urban design, architecture, health planning, landscape architecture and interior design for the A$2 billion Fiona Stanley Hospital at Murdoch. 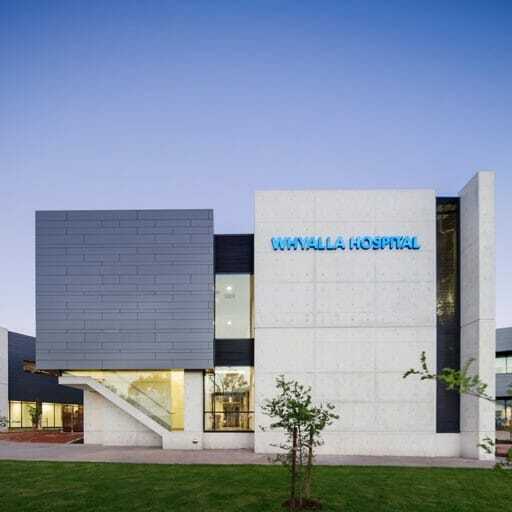 The hospital opened in 2014 and is Western Australia’s flagship health facility supported by an innovative design that harnesses the latest scientific, technological and medical developments. 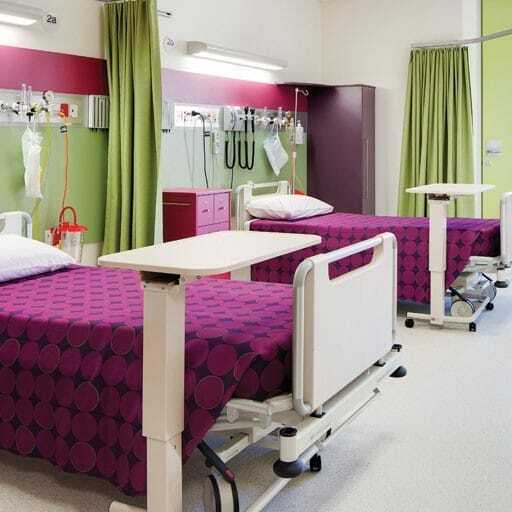 It will be the major tertiary hospital in the south metropolitan region providing 783 beds and 24-hour acute care together with teaching, research, medical and surgical services.